Whether we are in winter or summer, we always have a need for HVAC services in Gwinnett County. 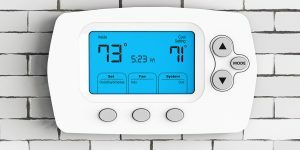 Everybody has experienced those humid Georgia summers, and last winter proved how much we need heating equipment during those brutally cold months. If you have a problem with your heating or cooling equipment, contact the professionals at Cool Masters Heating and Air Conditioning! With years of industry experience, our company has earned a reputation as a trusted Gwinnett HVAC company. Give us a call when you encounter a heating or cooling problem and our staff will work quickly to repair your equipment. Each technician has been trained to handle complex repairs. When you schedule an appointment with us, you can be confident that you and your family will receive quality service. Homeowners need to schedule regular HVAC maintenance. These services save energy consumption in the long run and keep your equipment running properly. They also maintain your manufacturer’s warranty. Our trusted staff will assist you in selecting the Preventative Maintenance program that best fits your needs. If your heat pump, furnace or air conditioner is permanently damaged, we can help you choose the right unit for your home or office. Many customers do not need the most powerful system, so we don’t try to upsell them on unnecessary equipment. Our team examines your building and determines which model is appropriate. Cool Masters Heating and Air Conditioning is here to manage all of your HVAC Gwinnett County needs. Stay comfortable all year long despite the unpredictable Georgia weather! Contact us today so you can enjoy the comforts of your equipment!